Grandmother's lace handkerchief inspired this delicate Lace Doily set. Beautiful threadwork detail and space for stamping images make each delicate piece unique. 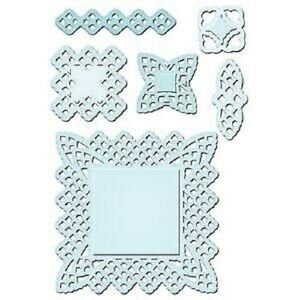 Six intricate patterned pieces stack, layer and coordinate with S5-062 Lace Doily Accents. 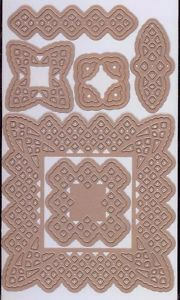 Spellbinders Shapeabilities cut, emboss and stencil with a single die template.